Incredibly smooth and refined. One of the best convertibles at minimising wind turbulance with the top down. Very well equipped as standard. Good ride quality. 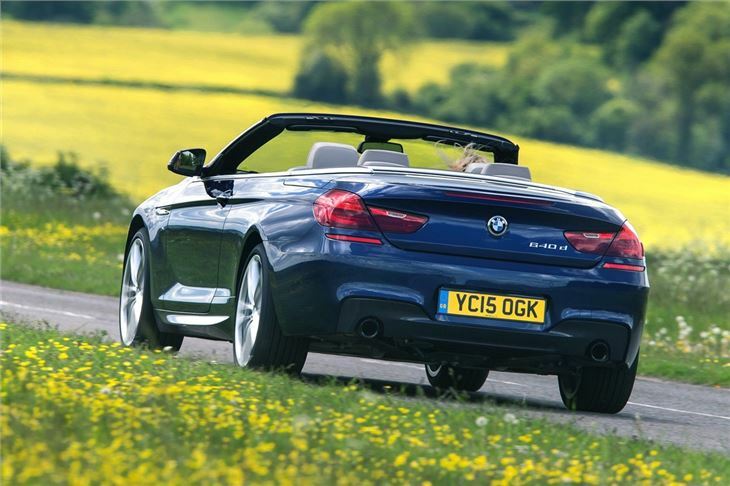 Other convertibles at this level have a folding hard-top roof. 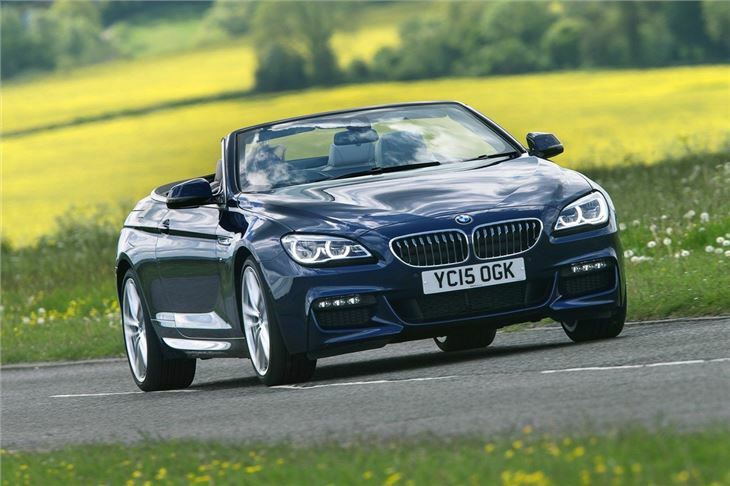 BMW isn't short of quality convertibles. 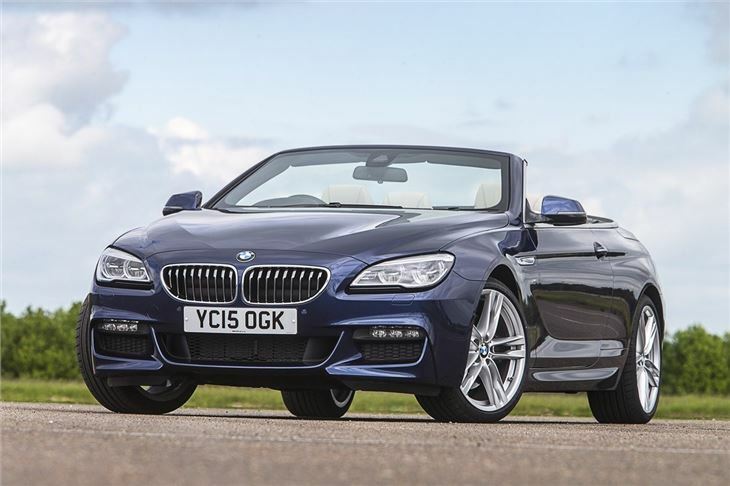 There's the great Z4 along with drop top variants of both the 2 Series and the 4 Series, but the ultimate BMW for open-top driving remains the 6 Series. This latest version continues the legacy of its predecessor without breaking the mould, but has some key improvements with more powerful yet efficient engines, improved room inside and increased refinement. 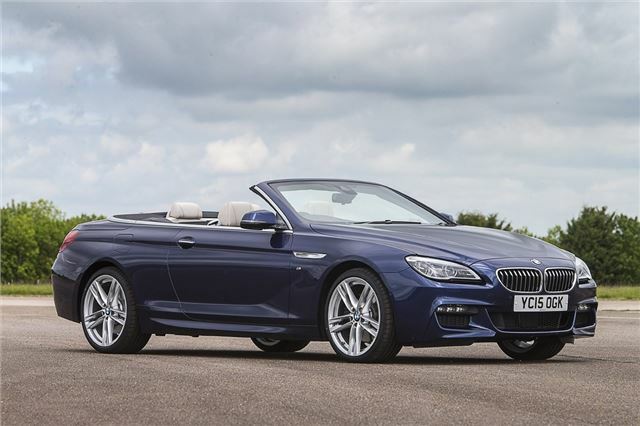 It also keeps the fabric roof of the outgoing model - a bit of a surprise given that the Z4 and 4 Series Convertible both now have metal folding roofs as does the BMW's big rival - the classy Mercedes-Benz SL. No doubt fitting a metal roof to a car the size of the 6 Series would mean it resembling something like the Ark Royal at the back. It's not too much of an issue though as not only does it keep weight down (and means that boot space isn't diminished when you lower the top) which helps handling, but it also adds to the sharp styling. It's fair to say that this 6 Series has a far sleeker appearance than the car it replaces. 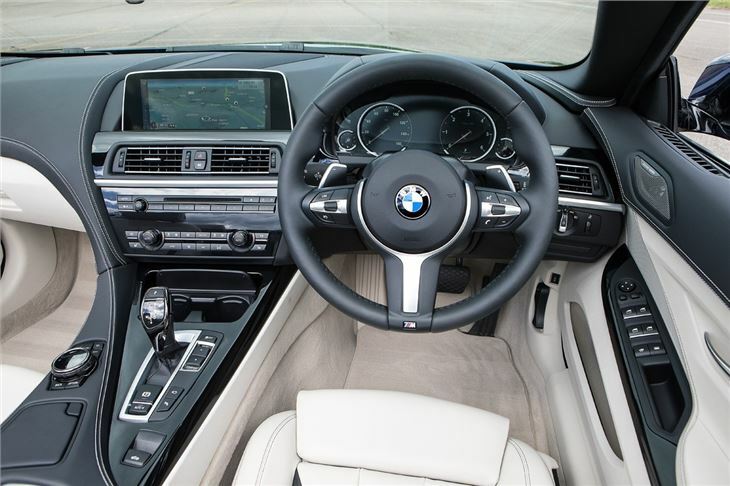 It's the same story inside where the 6 Series takes styling inspiration from the 5 Series but with the addition of some neat curves that flow from the dash to the centre stack. It's not a style you'd readily associate with BMW interiors but is a welcome change and adds to the more soulful feel. The switches and controls have all been updated plus there are new virtual instrument dials. And these improvements continue throughout the car, with a far better ride helped by a newly developed chassis and a more forgiving suspension set-up. 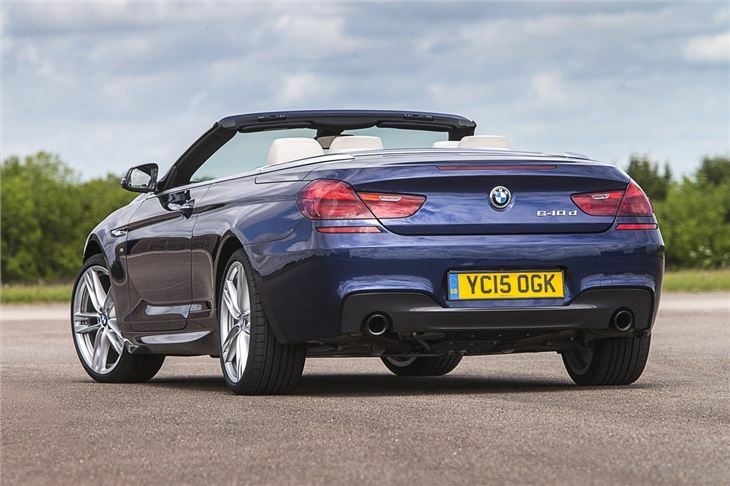 With the roof down, it's genuinely one of - if not the - most refined convertibles on the market with barely any wind turbulence in the cabin, even when you're on the motorway. And the 6 Series is equally happy being thrown into corners with nicely weighted steering, precise controls and great body control. It's not particularly cheap, the six-cylinder 640i SE costs more than £65k new while the V8 twin-turbo 650i will set you back close to £75,000, but for that you get a well equipped and wonderfully refined grand tourer that's always a joy to drive.